A healthy pH level is one of the most important factors behind a healthy smile, yet few patients understand how to improve the alkalinity of their mouth. Put simply, alkalinity describes the ability of water to neutralize acidic substances. Acids in the oral cavity are what causes tooth enamel to wear away, eventually leading to tooth decay and cavities. By adopting lifestyle habits that promote alkalinity, patients can raise the pH level of their mouth, reduce acidic buildup, and protect their teeth from decay. By the same token, making lifestyle choices that promote acidity in the mouth can have a significantly detrimental effect on long term oral health. In this article, we explore how teeth stay strong through a continual process called re-mineralization. Then, we look at how acidic foods can disrupt the re-mineralization process and lead to oral decay. Finally, we will explore popular lifestyle changes that can significantly improve alkalinity and holistic health. Contrary to popular belief, your teeth are not static structures. Rather, tooth enamel is continually losing and gaining minerals, making your teeth living organs just like your skin and bones. When teeth regain minerals, it’s called re-mineralization. It’s important that teeth are always re-mineralizing at a faster rate than they are losing minerals, otherwise they become weak and erode. Minerals are carried to the teeth by saliva. Saliva bathes the teeth throughout the day, delivering essential major and trace minerals needed to fortify the outer enamel. Acid, on the other hand, strips away mineral content and eats away at the enamel. Acids are sometimes introduced into the mouth through the foods we eat, like sugary snacks and soda. Or, acid may naturally occur at higher-than-average levels in the saliva. To combat acidity in the mouth, patients can engage in lifestyle habits that naturally increase the body’s alkalinity. 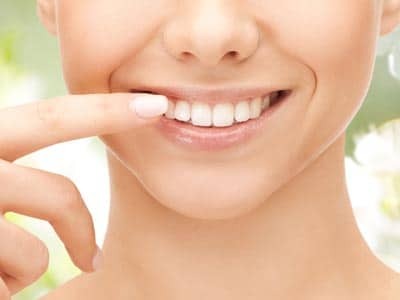 In doing so, the mouth can be transformed into a gentler environment in which teeth, gums, and soft tissues can flourish, rather than suffer breakage and decay. Limit sugar. In addition to increasing your risk of developing type II diabetes, high sugar diets promote an extremely acidic environment within the mouth. Watch caffeine. Caffeine is also known to increase acidity within the body. Coffee, especially, is an acidic drink that most adults drink first thing in the morning. Stop using nicotine. Cigarettes and smokeless tobacco use significantly increases your chance of developing numerous serious illnesses, including lung cancer, oral cancer, and emphysema. Nicotine use also increases acid levels in the body, so cutting this habit is critical when trying to improve alkalinity. Eat more root vegetables. Vegetables like radishes, beets, carrots, turnips, horseradish and rutabaga are all known to balance out acidity within the body. Moreover, these vegetables are rich in many essential minerals that help to create a naturally healthy smile. Enjoy more leafy greens. Leafy greens are rich in antioxidants, minerals, and fiber, making them a powerful addition to any meal. Choose known alkalinity superfoods like kale, Swiss chard, turnip greens and spinach. Add garlic to your home cooked meals. Garlic is widely known to reduce blood pressure, improve circulation, and have natural antibacterial properties. This delicious cooking ingredient also helps to improve natural alkalinity, so be sure to experiment with garlic when cooking at home! Learn to love lemons. Ironically, one of the most bitter and “acidic” tasting fruits actually helps the body maintain a high pH level. Most commonly, health conscious individuals enjoy lemon water immediately in the morning, or a hot water with lemon following meals.